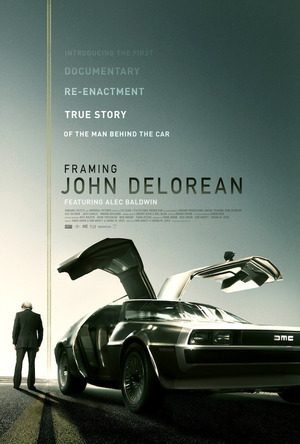 Framing John DeLorean starring Alec Baldwin. The story of motor design visionary John DeLorean, whose iconic DMC-12 – a 110 mph/0-60 in 8.8 secs sports car that featured gull wings and a stainless steel body on a fibreglass chassis – was built in in Northern Ireland, before being entrapped by the FBI during a cocaine deal. Posted in Misc and tagged John DeLorean at 9:48 am on March 20, 2019 by Bodger. I heard a brilliant documentary on Colin Chapman on the BBC. When DeLorean arrived at the Lotus plant and walked the floor with the engineers they all knew he was a complete fake and didn’t know what he was talking about. Chapman obviously knew it too but was happy to take 10 million off the government. Meh. Have you ever eaten your Granny though? I always thought DeLorean was an accomplished engineer though? Wasn’t he at various GM divisions for years? That was certainly my understanding. He had a meteoric rise through various American motor manufacturers as an engineer and executive. He even had a reputation as a troubleshooter, being assigned to lead projects that were failing for one reason or another and turning them around. Yeah, I went back and checked wikipedia and thats the story it tells, however there is a LOT of citations needed and some warnings that a lot of it reads like PR.